If you are majoring in a mathematics field of study, you will have to take several math classes as part of your program’s core courses for that major. Some of these are basic requirements for completing the program, but others will be more focused, depending on your exact major and planned career path. Math courses at colleges vary greatly depending on the program and the college, but the essential few are offered in almost all colleges. 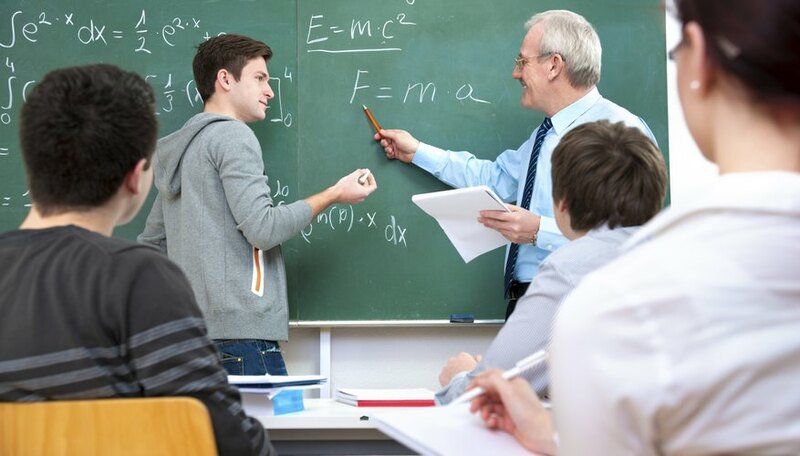 A basic course of calculus is typically required for all students majoring in mathematics or applied science. The topics covered in this course usually include logarithmic functions, inverse trigonometric functions, techniques of integration, Taylor’s formula and applications that involve pressure and work. In this course, you explore numerical methods, infinite series and differential equations. Most of the problems in calculus are based on economics, social sciences and the general business field. A linear algebra course introduces fundamental concepts of matrix algebra, which includes orthogonal and linear transformations, rank and characteristic roots, quadratic, bilinear and Hermitian forms. The program’s course work prepares you for advanced courses in biological and physical sciences; therefore, the problems presented in the course are often related to physical sciences. This course introduces the concepts of modern math and its application in social sciences, biological sciences and business. The course’s concentration is obviously on the subject related to the particular program. It will include topics like matrices, linear systems, sets, linear optimization, logic, probability, game theory, mathematics of finance and difference equations. A basic course of statistics is required in most college degree programs including business, economics, social sciences and biological sciences. The coursework typically includes statistical methods, sampling of data, probability and probability distributions, estimation, testing of hypothesis, regression and correlation. The course provides a basic foundation in data analysis for research purposes. As the name suggests, this course is designed for degree programs related to computer science. It typically includes discrete mathematics, mathematical logic, propositional logic, techniques of formal proof, Boolean circuits, sets, recurrence and recursion relations, networks and graphs. Such a course usually starts off with formal logic rules and lays the groundwork for using logic when constructing circuits. Number theory is an advanced mathematics course that deals with congruence, divisibility, prime numbers, quadratic residues, Chinese Remainder Theorem, Diophantine equations and properties of integers. The course may include a historical perspective of numbers and modern theories. For example, you may study clock arithmetic and Goldbach’s Conjecture also. As the name suggests, this course would include Euclid’s geometry, Hilbert’s axioms, informal logic, history of parallel postulate, neutral geometry, beginning of non Euclidean geometry, philosophical implications and independence of the parallel postulate. Since Euclid’s geometry has been used for ages as the very foundation of geometry, this course can make students aware of its importance and its implications from a current viewpoint. Dr. Muhammad Haq has been writing for over 10 years on medicine and health issues in the "British Medical Journal" and on various websites. He graduated from the University of Edinburgh with a degree in medicine and obtained membership in the Royal College of Physicians in the U.K. Dr. Haq has been teaching in the Gloucestershire Royal Hospital since. How Are Polynomials Used in Life? What Should a 10th Grade Math Student Know? Muhammad, Dr.. "Math Courses in College." 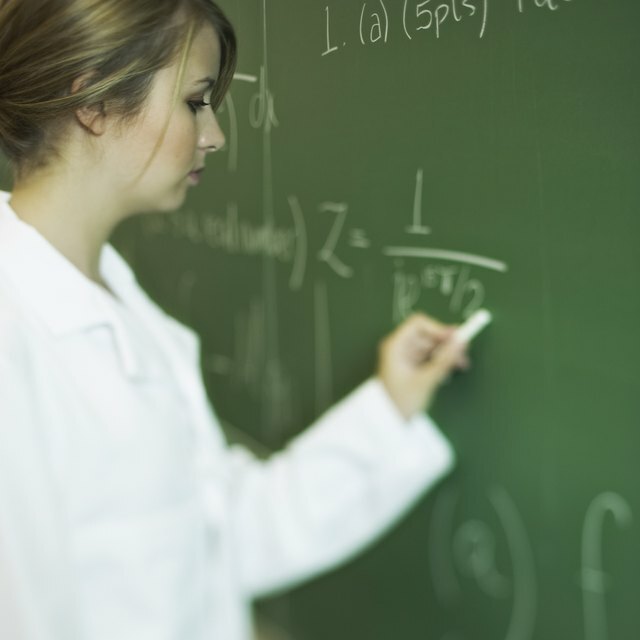 Sciencing, https://sciencing.com/math-courses-in-college-12747912.html. Accessed 23 April 2019. What Math Classes Above Calculus Do Mechanical Engineers Need?